$18 discount coupon is here. Gigabytes of books, video, developing games. Only useful for children content. Everything under complete control of teachers and parents. No ads. Absolutely impossible redirection to other web pages. 1969-1974 - Odessa National Maritime Academy. Specialization: Ships' power plants operation and automation. 1974-1995 - Engineer on merchant vessel (Panamax Balkcarrier). 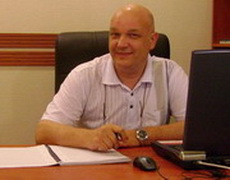 1998-2002 - Head of MAN B&W representative office in Ukraine. 1998-2014 - Senior lecturer (Training & Certifying Center of Seafarers of Odessa National Maritime Academy). My first repair as superintendent in China. 1995.